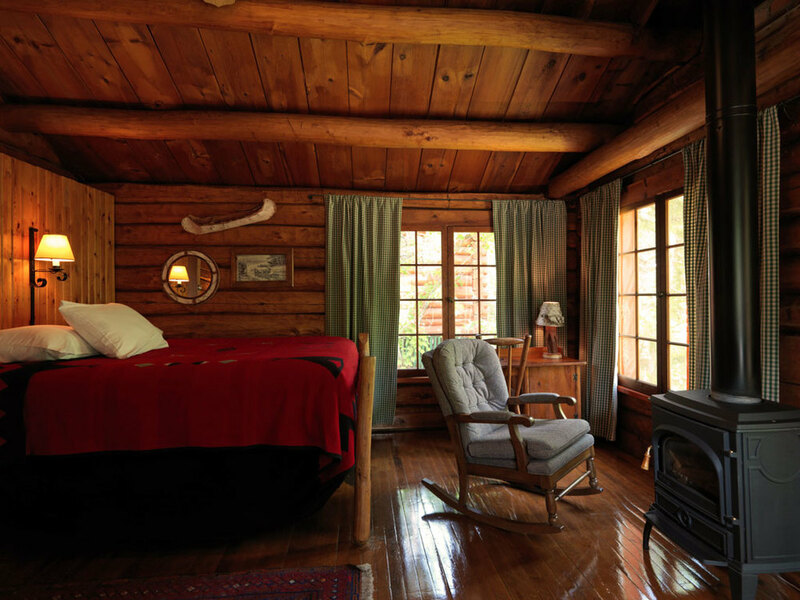 This is a classic one-bedroom log cabin that, like most of the log buildings at Burntside, was built in the 1920's from trees that grew on the lodge property. The early Finnish craftsmen who are credited with the construction, hand-peeled the trees and used a broad axe construction method whose marks are visible on the logs in the interior. 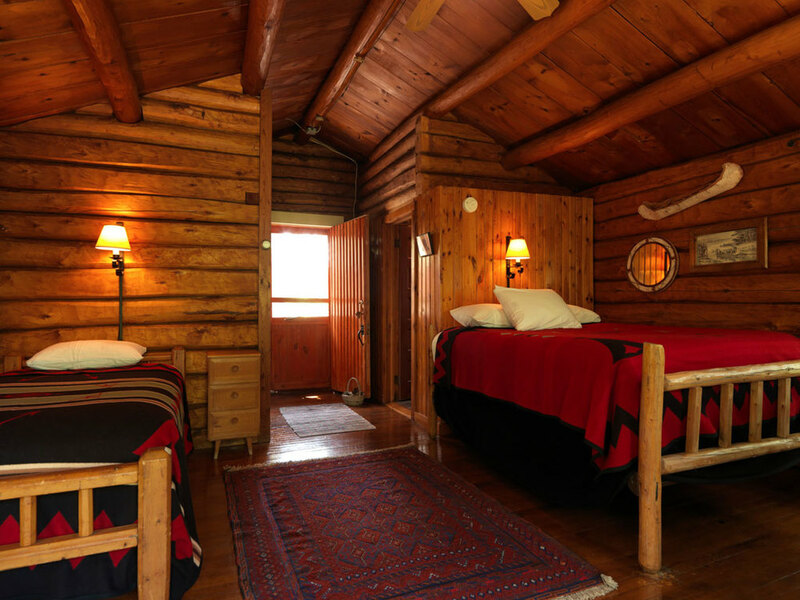 The cabin consists of one large room with wood floors. You will find a very comfortable double and single bed, a small refrigerator, coffee maker and microwave. Two chairs positioned in front of the windows that open to screens give a comfortable place to relax and view the lake through the trees. For cool mornings or chilly days you’ll use the gas stove that provides the ambiance of a fireplace. The bathroom with tile floor has both tub and shower.